We are proud to introduce the first battery operated model to our range of premium quality cylindrical brush floor cleaning machines-the Duplex 280 Battery. 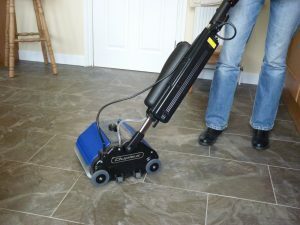 This compact machine combines efficient cleaning with the convenience of cable free operation. With a run-time of up to one hour providing ample cleaning time for the smaller sized commercial applications, the 280 Battery can also be supplied with an optional spare battery pack to extend the working time of each cleaning session. While smaller areas still require powerful cleaning results, the 280 Battery is light and easy to use without the restrictions of a cable.